Here’s something I hadn’t anticipated: Nearly a decade and a half after Andy Serkis’ revolutionary collaboration with CG wizards in creating Gollum, neither he nor anybody else has yet been nominated for a motion-capture performance. I genuinely thought this would have been settled by now, given how many characters in today’s big-budget Hollywood films are mostly or entirely digital creations. Obviously, the actors’ branch has a vested interest in honoring traditional, flesh-and-blood performances, lest they wind up obsolete (a fate that befalls Robin Wright, playing “herself,” in the little-seen film The Congress). As the movie business evolves, though, the definition of what constitutes acting will inevitably evolve with it. This year, some of the most memorable performances I saw weren’t motion-capture, exactly, but were visually modified in ways that make them seem equally unorthodox. What truly disqualifies them, though, in the minds of many, is that they take place in documentaries, which generally don’t feature what we think of as “acting.” That, too, is something we’re eventually going to need to grapple with more seriously. The line that once firmly divided cinematic fiction and nonfiction grows thinner and thinner, and filmmakers are increasingly finding innovative ways to represent real-life individuals. 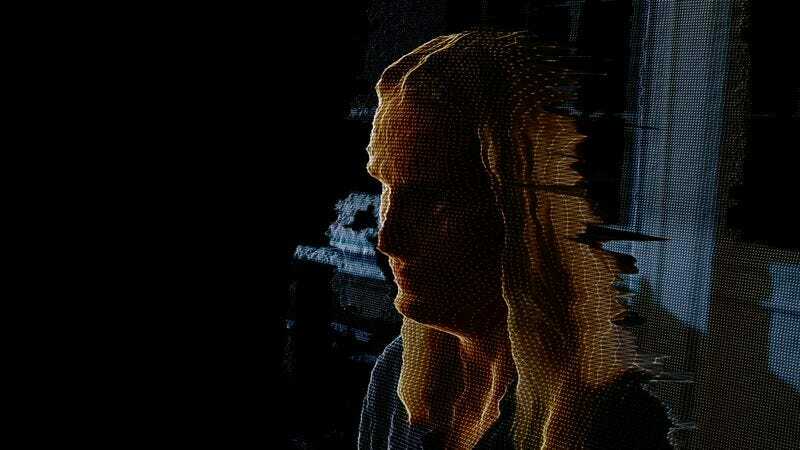 So much so, in fact, that my second-favorite Supporting Actress turn this year (after Lily Gladstone in Certain Women) comes from Joanne Tucker, who’s represented onscreen in Alex Gibney’s Zero Days almost exclusively as a disembodied mass of dots and lines that form the bare outline of a face, with her voice severely distorted. There’s a fake-out involved here, but it’s a remarkably effective one. Zero Days (which I reviewed upon its theatrical release back in July) examines the fallout from the Stuxnet virus, which is widely believed to have originated as a joint American-Israeli cyberweapon that took out Iran’s nuclear centrifuges before accidentally spreading to the rest of the world. Gibney interviews numerous current and former government officials, who willingly appear on camera but often politely refuse to answer questions, citing national security concerns. One interview subject, however, is identified only as “NSA source,” and is digitally obscured to such a degree that she looks like she escaped from Tron before the computer-generated scenes had finished being rendered. Only at the very end of the movie is it revealed that this individual’s words actually come from multiple anonymous NSA employees (none of whom would talk on camera), and that the woman speaking them in the film is Tucker, an actress who’s previously appeared on Girls (alongside her husband, Adam Driver) and in such indie films as Listen Up Philip and Gayby. It’s not clear why Gibney chose to use Tucker rather than disguise the identities of his actual sources. Maybe none of the real NSA agents felt confident that they’d be truly unrecognizable, or maybe Gibney just felt it would be more effective to have all of their statements emerge from a single voice. Whatever the reason, Tucker, despite the handicap of not being able to rely on roughly 90 percent of her facial features, or the real timbre of her voice, gives a genuine performance—one that instantly kicks the movie (which, like most of Gibney’s info dumps, generally plays more like a visual magazine article than like a movie) into a higher gear. Her composite NSA employee has a distinct, arresting personality: sardonic, highly intelligent, disinclined to suffer fools gladly. Tucker relishes delivering anecdotes about overworked analysts’ insular office culture, described as “two parts macho military and two parts cybergeek.” (Her little snort after that line is perfect.) There’s a faintly discernible tone of incredulity to most of what she reports, creating the impression of someone who’s unsure just how much of this should be admitted on the record, even under the cover of anonymity. Every moment that “NSA Source” is on screen feels charged with danger. Obviously, there’s no way to know how accurately Tucker represents the real NSA sources. Presumably, the words are verbatim, but the inflection and the body language of this composite figure may well be entirely her own invention. Whether it’s expert mimicry or creative license, though, it’s first-rate acting. Indeed, if there’s a knock to be made about Tucker’s performance, it’s that it’s arguably too good—so much more vivid and compelling than any of Zero Days’ other interview subjects that I started to suspect it might be an actor, and felt happily vindicated when I was proved right. And yet I don’t think her failure to blend into the documentary staidness should be held against her—not when she’s created such a memorable figure, and especially not when she’s managed to do so under such bizarre circumstances. An actor’s eyes are her most crucial asset, but Tucker’s eyes are clearly seen only in a few very occasional extreme closeups of the wireframe face (or whatever; I’m no expert on CG terminology) that’s been constructed from her own. Mostly, she’s conveying emotion and character using her voice—which is also distorted!—and niceties of head movement and posture. The effect is richer than would seem possible. Were Tucker’s work just a weird anomaly, unlikely to ever be repeated, I don’t know that I would have bothered going to bat for it, even in an intentionally quixotic forum like Oscar This. As it happens, though, it’s merely the most impressive of maybe half a dozen such performances I could cite from 2016. The others can all be found in Tower, Keith Maitland’s terrific documentary about the 1966 mass shooting at the UT-Austin campus. Maitland interviewed various survivors, who appear as their elderly selves in the film’s final half hour. But he also cast actors to play them as they were in 1966, and it’s these actors who speak most of their words, both in dramatic recreations of the shooting and in talking-head segments. All of the footage featuring actors was converted into rotoscoped animation, so, as with Tucker, we’re getting an additional degree of remove from the source. Nobody who sees Tower, however, is likely to forget the fictional versions of Claire Wilson (played by Violett Beane), Houston McCoy (Blair Jackson), Neal Spelce (Monty Muir), Ramiro Martinez (Louie Arnette), or Brenda Bell (Vicky Illk). That their deeply imaginative work exists in a documentary, and has been given a digital overlay, is ultimately irrelevant. Only one question matters: Is it a living, breathing, captivating performance? Or, more simply: Is it great acting? In Tucker’s case, especially, the answer is clearly “yes.” But she’s in Zero Days, and so she has zero chance.